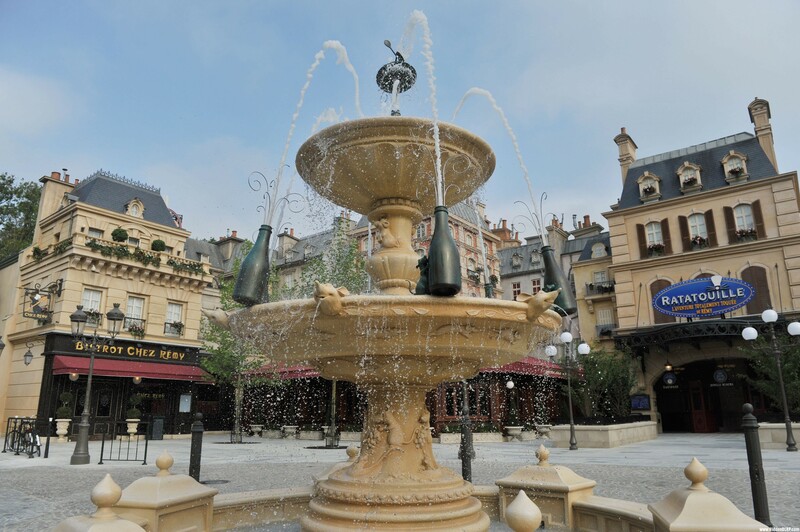 One of the most anticipated additions to Walt Disney Studios is the Ratatouille section. It was openly leaked when Gusteau was sculpted on the archway behind the bucket of monkeys. Which we showcased a while back. The Ratatouille ride will no doubt be extremely popular and queues will be 1 hour plus for a long long time. However, this sign is also showing that the toilets could be a potential sticking point. 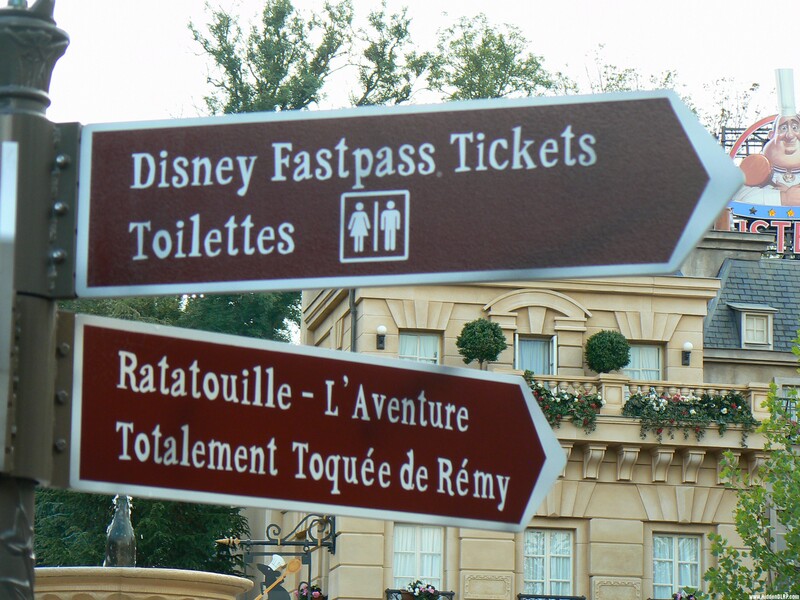 Turn right for the Fastpass tickets for the toilets!! Only kidding but unfortunate signage. Thanks to Thomas Bath for sending in this find.